A renewed emphasis on customer engagement by new training for support staff and aligned incentives for executives through to store managers has helped Woolworths improve sales across its food division during the first half, its CEO says. The ASX-listed retail giant reported a 2.8 per cent increase in sales across its Australian food division to $18.7 billion, with comparable year-on-year sales growth 1.9 per cent in the first-half of 2017 to 31 December 2016. EBIT was down, however, by 13.9 per cent to $811.6m. In total, sales from continuing group operations grew by 2.6 per cent to $29.1 billion. Group net profits were down 16.7 per cent to $785.7m. Woolworths Group CEO, Brad Banducci, cited better voice of customer, voice of team and voice of supplier scores across the food group over the first half. As an example, he noted a lift in voice of team scores around the question: ‘Would you recommend Woolworths as a place to shop’. There was also a rise in voice of customer scores, with overall customer satisfaction leaping 76 per cent quarter-on-quarter in Q1, 2017, and by 79 per cent in Q2. This was supported by improvements in queue wait times, product availability and ease of movement. 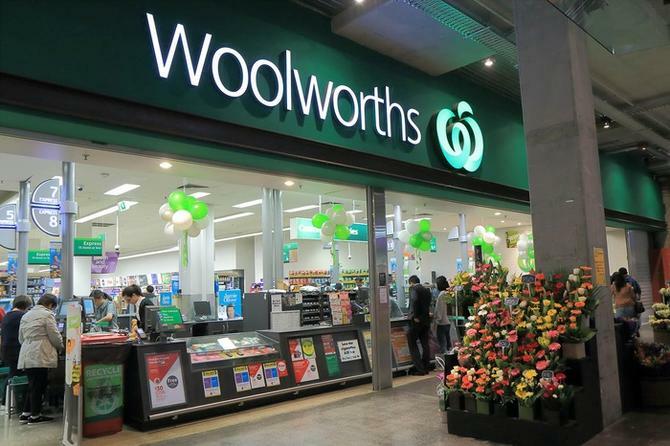 In addition, there has been a “material increase in loyalty perception” since relaunching the Woolworths Rewards program in August, the group stated. Woolworths brought back a points-based scheme after receiving significant consumer criticism for the dollars-based scheme it announced less than a year earlier. Woolworths had stated five key group priorities as part of its turnaround strategy: Customer and store-led culture and team; generating sustainable sales momentum in food; evolving the drinks business; empowering the portfolio business including Big W; and becoming a lean retailer. Banducci outlined several initiatives aimed at building a strong customer-led culture and team over the last six months. One of these was rolling out its new Australian food purpose – ‘we bring a little good to everyone every day’ - focused on delivering good food, prices and acts for customers. Another was embedding the ‘Woolies welcome’ program, which sees new employees spending their first week in-store. The group said 1200 support office team members worked in stores during the Christmas period for at least a full day. A number of short-term and long-term incentives have also been put in place, with store managers receiving performance-based bonuses for their second-half efforts. “Everyone in Woolworths now has the basic same short-term and long-term structure, which is fantastic. My incentives are exactly the same as the rest of my colleagues, and that cascades down to store manager… it’s nice to be all talking the same language,” Banducci continued. As well as the Woolworths food division, solid sales growth was reported in the second quarter across the Endeavour Drinks Group (4 per cent to $4.3bn), led by significant sales increases across Dan Murphy’s. Big W continues to be a challenge, however. The department store reported a 6.3 per cent dip in sales to $2bn and a first-half pre-tax loss of $27.2m. Trading EBIT also dropped 88.9 per cent to $8.1m. According to the group, this was because of lower comparable sales as well as a non-cash charge of $35.3m. There is also still a lot of work to do at Woolworths, such as improving the in-store experience through customer-led rostering, on-shelf availability and customer-first ranging. “The second half will also be a period of continued investment in improving the store experience, depreciation from our renewal and IT investments, and higher team incentive payments,” Banducci concluded.